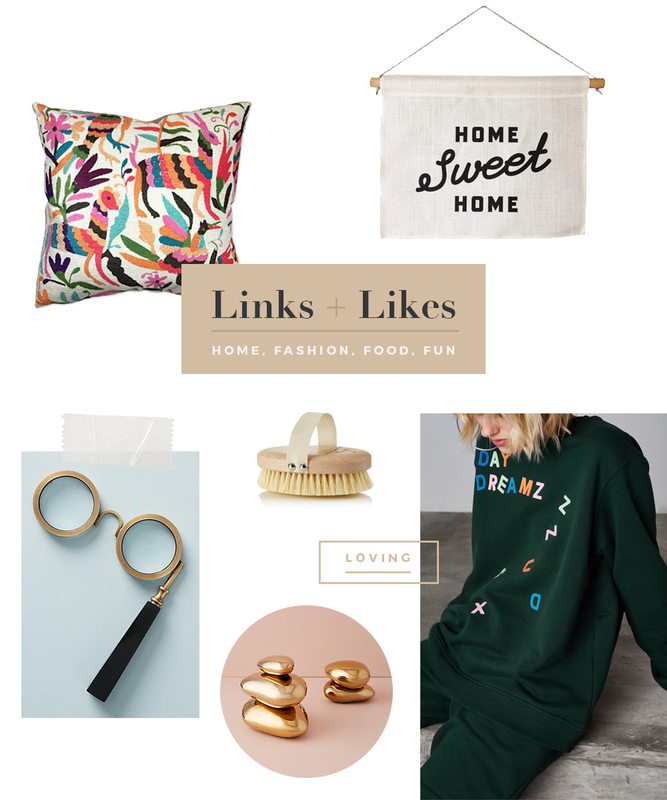 Home, Design + Fashion Amazon .. I WOULD BE HAPPY WEARING THIS ALPHABET SWEATSUIT FOR THE REST OF TIME. Love this sweet, folk-inspired Home Sweet Home banner. If you don’t dry brush your skin, you should consider it! I love this one. Paperweights, decoration, use it however you want, I’m digging this set of golden stones. This embroidered linen cushion is so so pretty.